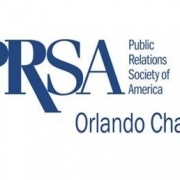 Join your PRSA Orlando friends for our much-anticipated Spring Mixer. Held at Reyes Mezcaleria, enjoy a variety of modern Mexican bites, cocktails, beers, sangria and good company. Registration includes food, a welcome beverage, one raffle ticket, and networking with the best PR pros in town. When: Tuesday, May 21, 2019, 6-8 p.m.
On Aug. 24, 1992, Hurricane Andrew made landfall in South Florida, cutting a path of devastation in Miami-Dade County. Hear from Florida Power & Light Company and rbb Communications as they recount their award-winning effort to educate residents on storm preparedness during the 25th anniversary of this infamous storm. Sharing the Love: Non-Profit PR – Is It Really Different? Central Florida is blessed with hundreds of not-for-profit organizations addressing numerous issues and challenges facing our community. How do they stand out and remain relevant not just during the traditional giving season, but all year long? Join a panel of experts from some of these stellar not-for-profit organizations to learn how they tell their stories and attract volunteers and donors to their mission through PR initiatives. https://prsaorlando.org/wp-content/uploads/2019/01/1533_image_original.jpg 258 486 prsa-admin http://prsaorlando.org/wp-content/uploads/2018/09/PRSA-Orlando-logo.png prsa-admin2019-02-02 17:54:472019-02-06 16:09:34Sharing the Love: Non-Profit PR – Is It Really Different? In this session, CTS Agency co-founders Greg Trujillo and Carolyn Capern will discuss practical techniques that your business can use to cut through the digital noise and make an impact with your audience. CTS Agency has created and implemented digital and traditional marketing strategies for FINFROCK, Harbor House of Central Florida, Orlando Science Center, “Rethink Homelessness” campaign for the Central Florida Commission on Homelessness, “Step Up Against Poverty” campaign for United Against Poverty – amongst many others; and are regularly featured speakers about digital marketing, effective messaging, and cause-based advocacy at digital conferences. THANK YOU TO FINFROCK FOR SPONSORING THIS EVENT.